We've been working hard on Spine, so let's bring you up to speed! The v3.0 release has gone well. Most users had not been inheriting scale before v3, so weren't affected much, if at all. We quickly fixed up a few problems that are bound to arise after such a large release, and we're now pretty happy with the current state of things. Supporting skew was a big deal! In other news, today we are proud to have released v3.1! This has a number of good fixes and minor new features. For example, it can now export in headless mode, which means build servers can automatically perform exports. It has a new UI scale feature, which scales the entire UI for use on very large, 4K screens. However, there are two new features in v3.1 that really stand out. Spine has gone multilingual! While the website has supported a number of languages for a long time, up until now Spine's user interface was limited to English. The main reason was that it's difficult to render Unicode fonts, but this was remedied with v3.0. 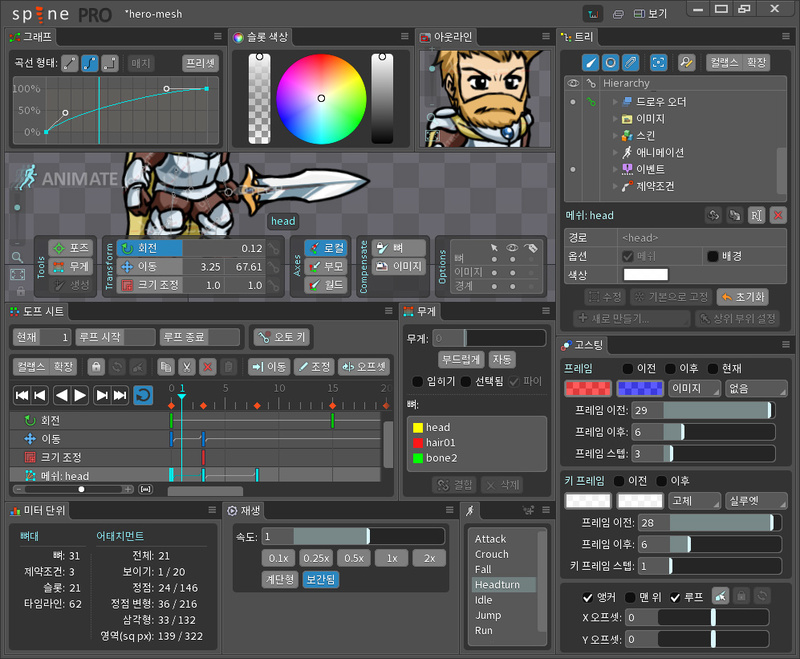 Starting with v3.1, Spine now supports Chinese, Croatian, French, Japanese, Korean, Spanish, and Russian. Soon we'll also have German and Portuguese. Shortly after that, we'll be providing the entire Spine User Guide in Chinese, Japanese, and Korean. 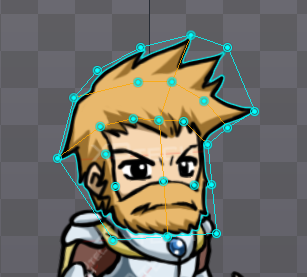 The last restriction for linked meshes is that they must be under the same slot as the source mesh. However, they can be in different skins. 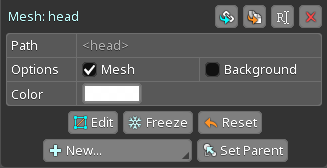 Another related change is that you can now copy and paste FFD keys from one mesh to another, as long as both meshes have the same number of vertices. This can be helpful in the situation where you can't use a linked mesh, so you can duplicate the mesh, then copy and paste the keys.